Lunagirl Moonbeams by Lunagirl Vintage Images: Sponsoring Digitally Sweet Challenges! 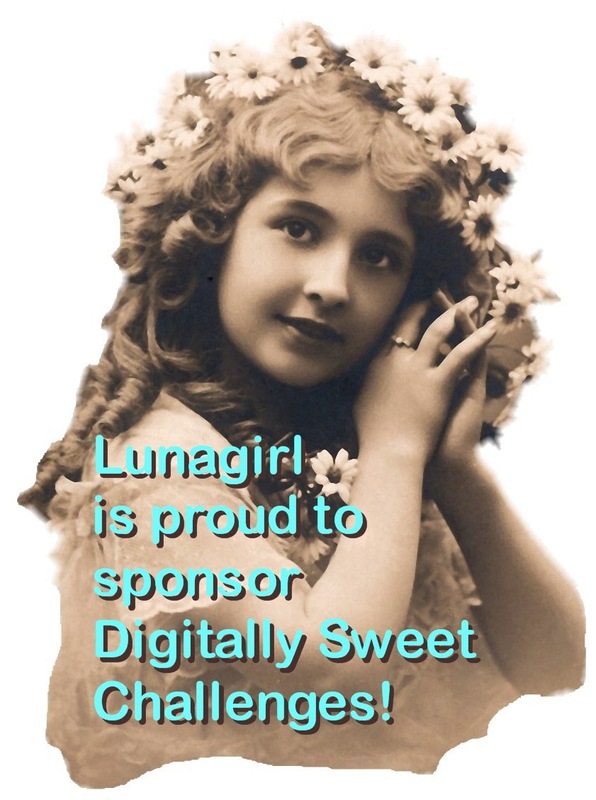 Lunagirl is sponsoring at DigitallySweetChallenges again this week! The theme is "Anything But a Card." Be sure to visit to see the amazing variety of beautiful projects created by the Digitally Sweet DT, and then create and link up your own project for a chance to win the Lunagirl images they used. It should be fun! Hello Karen! I noticed that my work was chosen one of the top three in DigitallySweetChallenge. I'm not sure wether I get some prize from that. You are the sponsor and that's why I ask it from you. It was my pleasure to take part in the challenge also without any prize.